Present state: A new halt was opened on the north side of Greenhurst Lane this is still open. There is no trace of the original halt. Route map deawn by Alan Young. 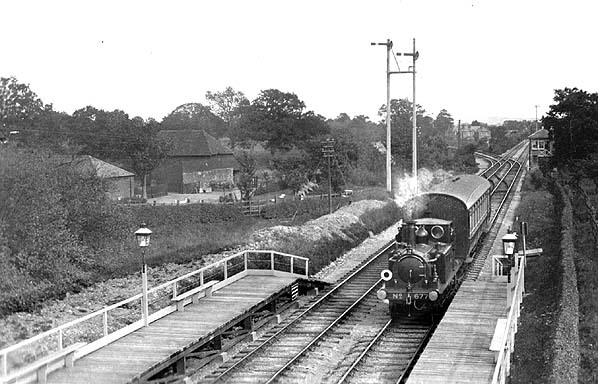 Hurst Green Halt looking south in the early 20th Century. Hurst Green Junction can be seen in the background. 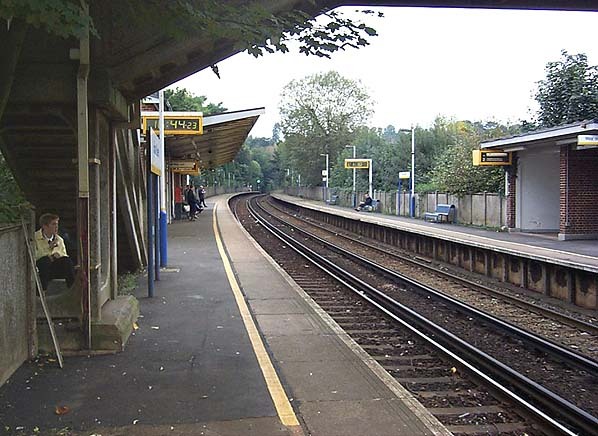 The Groombridge line is to the left. 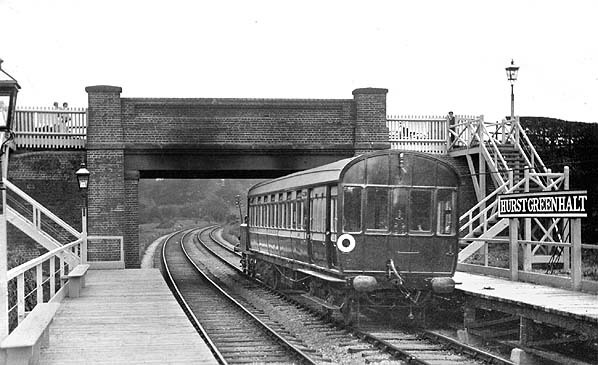 The Original position of Hurst Green Halt is seen on the right with the new position after the 1961 resiting on the left.